Recalling the colorway of the Dunk Low Pro "Takashi", here for you the new release of Nike skateboarding line: the Koston 2 Black/Gold. 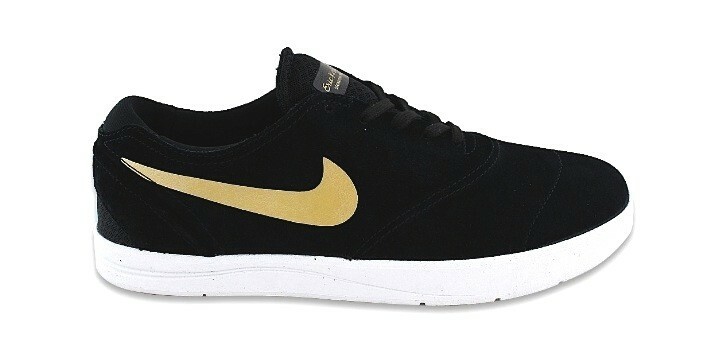 The shoe presents a total black suede upper, which contrasts with the golden, typical "Swoosh", while the mesh tongue features the writing "Eric Koston 2 - Signature Model". The side panels have micro cuts that favor breathability, and the insole presents the innovative Lunarlon technology, which protects from the impacts and raises the fitting comfort.